Is there a more important metric for a brand’s effectiveness than loyalty? We define loyalty as simply ‘a strong feeling of support or allegiance’ and when applied to a brand that connection equates directly to increased purchase, longevity of commercial relationship and recommendations to others through ‘word of mouth’ and these days through ‘word of mouse’. But the world of loyalty for brands has changed. New consumer behavior is redefining what we view as ‘contemporary loyalty’. With more information, consumers have seized control and are more open to the wide choices in the marketplace, greatly reducing their level of loyalty to any particular brand. 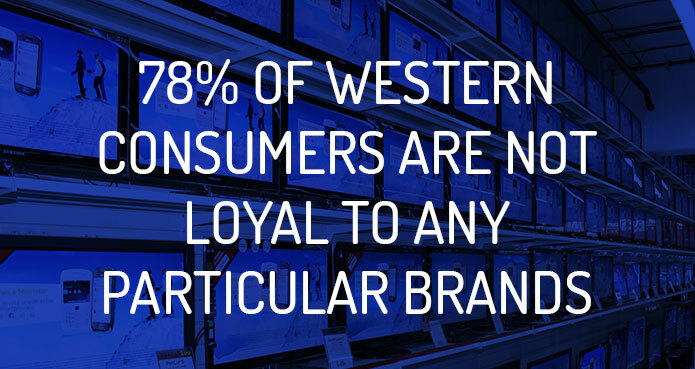 With research showing a huge 78% of Western Consumers are not loyal to any particular brand, the challenges and opportunities for marketing and brand managers have never been greater. And the news doesn’t get any better when we look at the behavior of Asian consumers. In Asia 5% of consumers are retailer loyal and 78% shop at more than 5 retailers for comparison, with online opening the market up to greater and broader consideration sets. 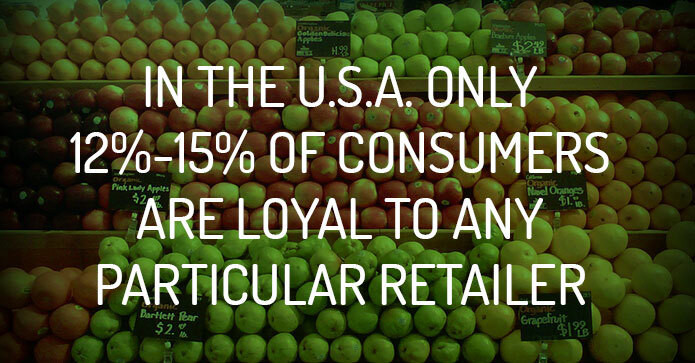 In the U.S. the statistics for retail brand loyalty are even more extreme. A study, which looked at five product categories – baby products, consumer electronics, food and beverage, health and beauty, and fashion – found that the very concept of brand loyalty had changed for 97% of consumers over recent years. Just 3% of consumers said they were loyal to a particular brand in any category and never buought anything else. Only 12% – 15% of customers are loyal to a single retailer, but that small group of loyal shoppers generate between 55% – 70% of the company’s sales. The average loyal Macy’s customer in the U.S. visits a store on average 13 times each year. • 30% of brands experience increased customer loyalty after establishing a social media presence. • The average U.S. household has 12 memberships to loyalty card programs, a number that has never been higher, yet at the same time loyalty has never been lower. • Across 95% of countries, quality is the #1 driver of brand loyalty for women. So whilst brand loyalty has possibly never been tougher to achieve, it has also arguably never been of greater value. 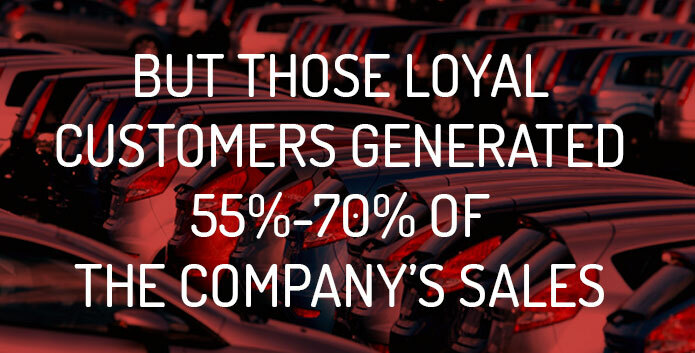 So the million dollar question is: Does your brand have a loyalty strategy?